As the Team Director for the Nick Holzinger team, Loreta is responsible for the team’s operations and marketing. Drawing from over 27 years of small business and commercial real estate experience, Loreta is a dedicated and technically skilled business professional with a versatile administrative support skill set developed through experience as an office operations manager. 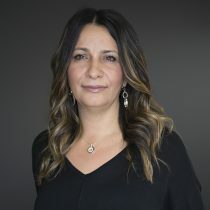 Loreta joined Cushman & Wakefield after 14 years at the Kitchener office of CBRE, where she was the office operations manager. Her responsibilities included budgeting and expense control, personnel management, sales support, marketing communications, research management and IT systems strategy & planning, operations and support. Prior to her career in commercial real estate, Loreta owned and operated a successful food and beverage company for over 7 years. • Awisa DBCG International Corp.
• Ernest & Young Inc.
• John Weiland Investments Ltd.